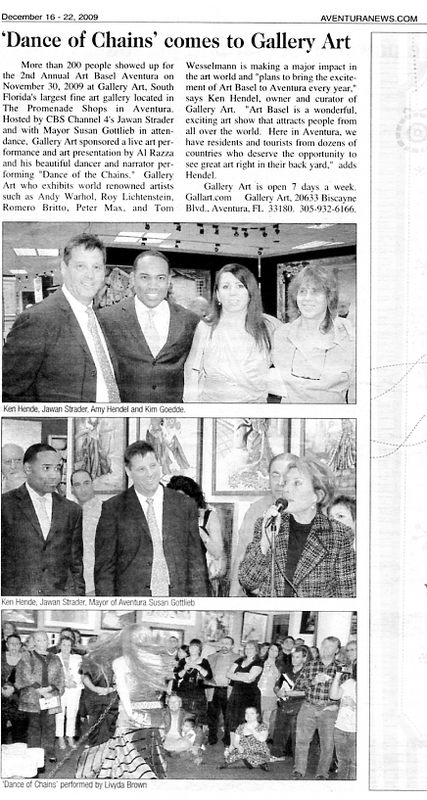 Description: December 2009 Gallery Art held the 2nd Annual Art Basel Event in Aventura, Florida. In attendance were Aventura's Mayor Gottlieb and CBS Chanel 4's, Jawan Strader. A multi media performance by Al Razza titled, Dance of the Chains set the stage for the event.